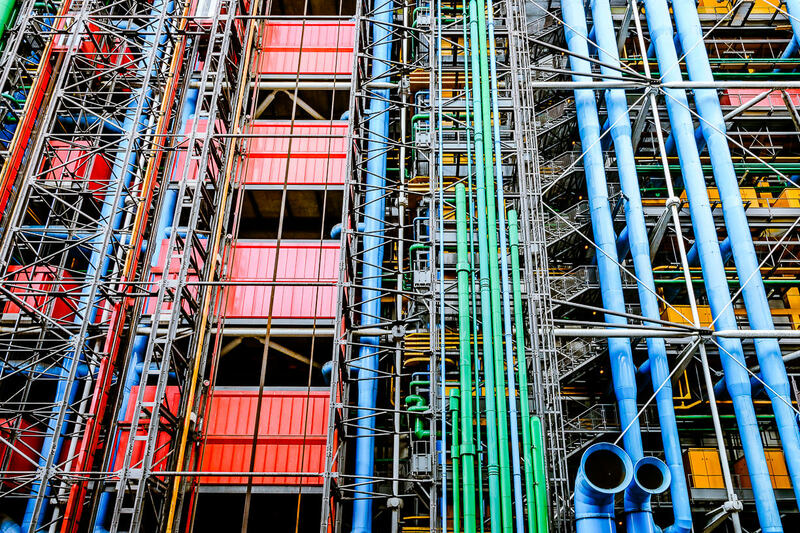 Directions: Center Georges Pompidou is situated in the northwest corner of the 4th arrondissement of Paris. The nearest metro stop is Rambuteau on line 11. Centre Georges Pompidou in Paris, France, houses the Public Information Library and National Museum of Modern Art. 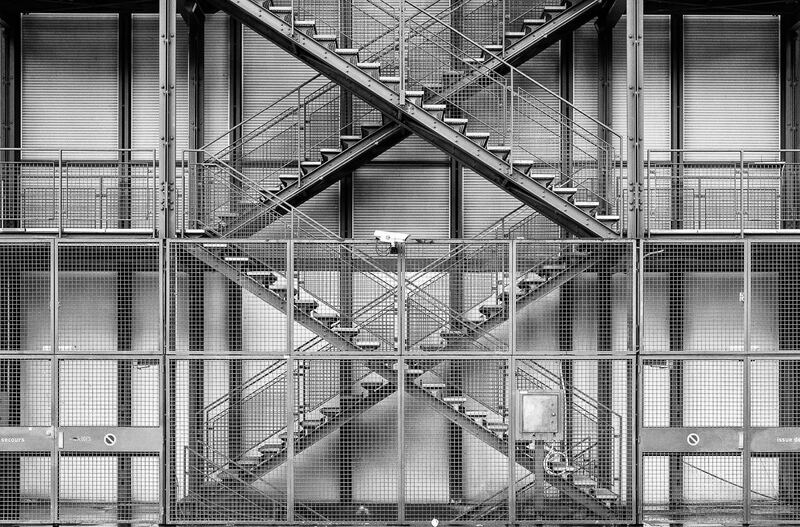 Without even paying the admission fee to enter though, the building’s unique exterior could keep the contemporary abstract photographer occupied for hours. 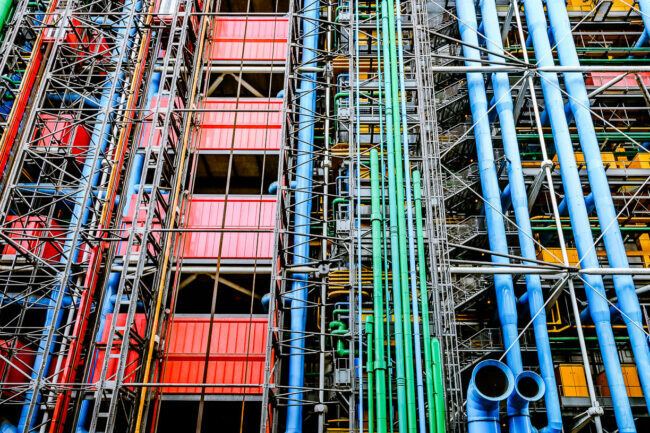 With its colorful exposed pipes, crisscrossing beams, and exterior escalators, there are endless opportunities for fun frames and compositions. Not into modern architecture? The area around the Pompidou Center is great for street photography too. There’s an open space in front of the museum where visitors often gather to watch street performers and the neighborhood is known for its cute streets, old buildings, cafés, and shops. Anytime is a good time to visit; the Center is open from 11am to 10pm. A normal zoom lens (24-70mm) or moderate telephoto (70-200mm) should be sufficient to capture details of the building’s exterior. It’s a tall building, so a tilt-shift lens could be useful if you have one. The rear of the building has all the fun colorful pipes! The 4th arrondissement also includes Île de la Cité (including Notre-Dame de Paris) as well Île Saint-Louis. The walk from Centre Georges Pompidou to Notre-Dame would be great for Parisian street photography.